You can trust our team to provide you with the perfect home design that will meet your family’s needs in Mooresville, NC. No two families have the same needs, which is why we offer plenty of different choices for homes. 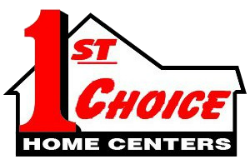 At 1st Choice Home Centers, it is always our goal to help you with homes that you will continue to be happy in for many years to come. Homes are more than just materials thrown together; they are the place where memories will be made. We are passionate about giving you the best place to make those memories. The most important part, in our opinion, is the planning stage. We take the time to go over possible homes with you and answer your questions about modular homes, prefab homes, manufactured homes, mobile homes and our home building services in the Mooresville, NC area. You can trust our team to provide you with the perfect home design that will meet your family’s needs. We also know that timing is different from family to family. That is why we design and craft custom options and offer ready-to-occupy homes should you not have time to wait. These homes include the land, and all they need is your furniture and belongings. We go further than most providers of manufactured homes. We also offer custom work, so we can add a garage or porch, enabling you to make your home more comfortable and unique. Outdoor spaces make homes far more valuable, and you will love entertaining friends and family. If you would like more information about the homes we create, give us a call. We will be glad to explain the options and choices that are available to enable you to have the home of your dreams.